Congratulations to Cole Schiell and Jack Smothers for placing at the NYWA Individual State Tournament this weekend. Cole earned 4th and Jack placed 3rd. Isaiah O’Reilly took 2nd at the Invite and Mason Edstrom placed 3rd. The 7th and 8th graders went 2-3 at the NYWA team tournament. 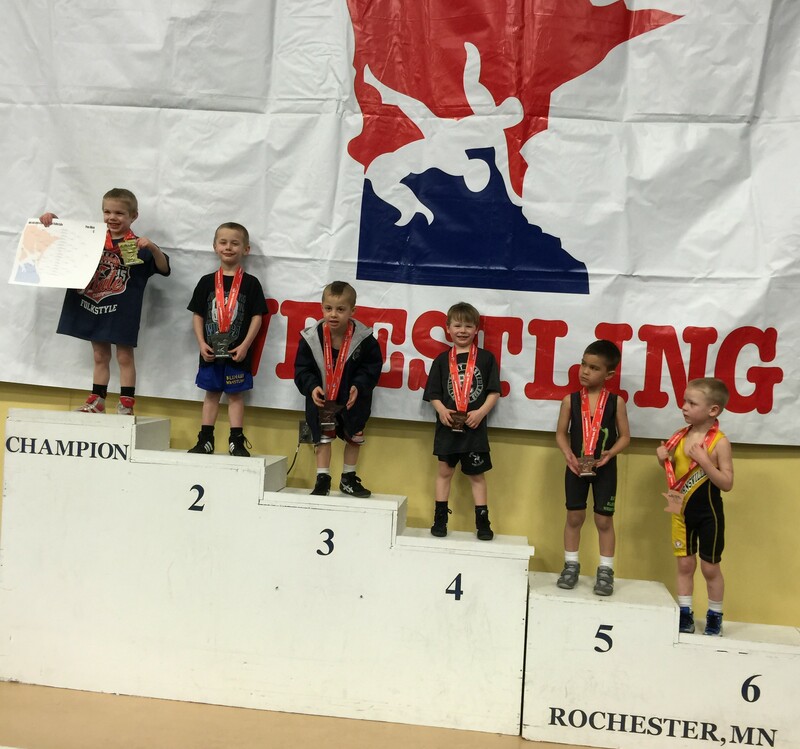 8 wrestlers traveled to Detroit Lakes to compete in the Freestyle and Greco-Roman tournament on Saturday. They were Michael Vath, Spencer DeFrang, Caden Steffen, Luke Tupper, Hayden Voxland, Maverick Jackson, Jarret Haglund, and Hayden Stensland. Tuesday – FS/GR practice for Grades K-12 from 6:30 to 7:30. Nine K-8 wrestlers qualified for the NYWA State Tournament by placing in the top 3 of their division this weekend. Earning trips were Sam Moore, Cole Schiell, Jack Krier, Kaleb Lochner, Ryan Lexvold, Jack Smothers, Tanner Mancilman, John Poulin, and Tyler Soltau. Also placing in the top 6 were Gunner Mancilman, Isaiah O’Reilly, Mason Edstrom, and Cole Poncelet. Leading the Freestyle/Greco-Roman practice this Tuesday will be Paul Pagel. Paul was a Junior Greco-Roman All-American. He was also an All-American wrestler for the Mavericks of Minnesota State University, Mankato. Practice will run from 6:30 to 7:30 PM Tuesday in Mazeppa. Don’t miss out on this chance to learn some great upper body technique. Summer wrestling practices for Grades 3-6 are being offered through InnerDrive of Rochester. Here is more information regarding these practices along with a sign-up form. Tuesday- Youth open mat 6:00-6:30 PM. FS/GR practice for Grades K-12 from 6:30 to 7:30. The youth team season came to an end today bowing out in Eyota at the Region 1 qualifier. We have many wrestlers still alive in the individual competition that will take place Friday and Saturday in Byron. The youth will practice on Tuesday from 6:00 to 6:30, and again on Thursday. All are welcome to stay for the Freestyle/Greco-Roman practice from 6:30 to 7:30 on Tuesday that will be led by Chad Matthees. A reminder to all individuals who qualified for regions: you need to register by Tuesday at 5 PM on the NYWA-MN.com website. Friday/Saturday- NYWA Individual Regions in Byron. ZM wrestling is having Freestyle/Greco-Roman open mat practices once a week starting Tuesday, March 17th in the Mazeppa wrestling room. A total of 9 practices for any ZM wrestler K-12. There is no cost. Currently scheduled and very excited to lead these practices include Chad Matthees, Paul Pagel, and Joey Majerus. Here is a great article that explains why one should consider wrestling Greco-Roman and Freestyle in the spring. In short- these practices are designed to be relaxed and fun, yet very productive. No worries about cutting weight. No pressure from a team. You can focus on individual skills and experiment with different things. Don’t worry about not knowing the ins-and-outs of these styles, wrestling is wrestling. My son Ryan really enjoys FS/GR and looks forward to attending the practices as well as the local and regional tournaments. The current schedule is as follows. Practices will run from 6:30 – 7:30 PM. More information about FS/GR and a calendar of tournaments can be found at http://www.mnusawrestling.org/. Another oppoturnity is the Cannon Falls Mat Rats Freestyle Program. It starts Tuesday, March 17th. The practices are open for K-12 and are held Tuesday and Thursday nights from 6:30 PM until 8:00 PM. Full calendar is here. The practices are run by Chad Otterness. 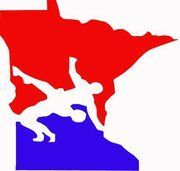 29 wrestlers took part in either the MN/USA Kids & Cadets State Folkstyle tournament or NYWA district qualifier this weekend. Placing at the MN/USA tournament were Sam Moore (3rd), Ethan Kovars (5th), and Hayden Voxland (3rd). Also participating at MN/USA were John Poulin, Jarret Haglund, Sam Nordquist, Tyler Soltau, Hayden Stensland, Luke Tupper, and Jacob Bennett. 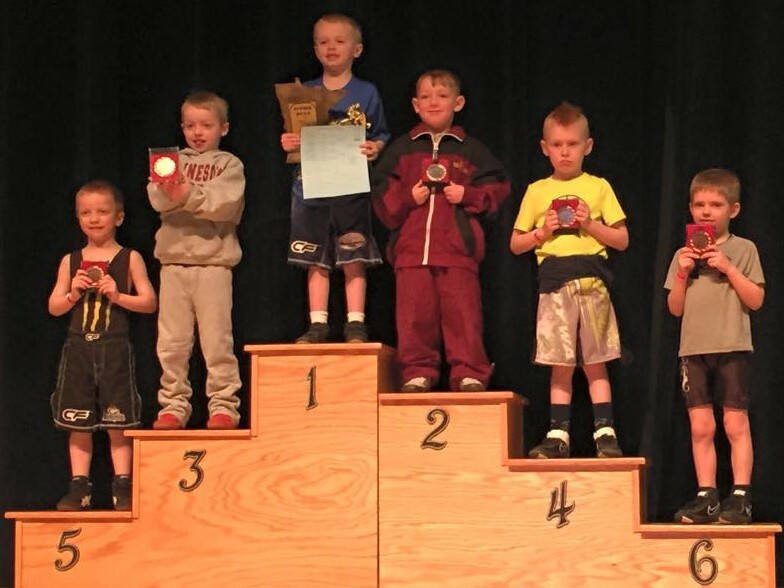 Wrestling at NYWA were Lincoln Toombs, Cole and Lucas Schiell, Leo and Jent Beyer, Carl and Ben Murray, Gunner and Tanner Mancilman, Cain and Ryan Lexvold, Kaleb Lochner, Isaac Moore, Jack Krier, Isaiah O’Reilly, Jack Smothers, Ashton Macht, Nathan Haltom, Cole Poncelet, and John Poulin. My apologies if I missed anyone. We have 8 ZM Wrestling community calendars still available. These calendars run March through April 2016 and are personalized with birthdays and anniversaries. Cost is $10. If interested, you can get a hold of Lacey Lexvold or stop by Zumbrota Eye Care. Please note the youth will be practicing Tuesday and Friday this week due to Parent-Teacher conferences. We also have the opportunity to weigh in on Saturday for the team tournament on Sunday. We will e-mail our youth parents with more information later this week once we have the details. Tuesday- Open mat practice in new wrestling room. 6:00-7:15 PM. Friday- Open mat practice in new wrestling room. 6:00-7:15 PM. NYWA District Qualifier in Austin. Saturday- NYWA District Qualifier in Stewartville. Jaycees Regional Qualifier in Goodhue. Sunday, March 15th- NYWA Team Region Qualifier in Eyota. Wrestling starts at 9. The welcome home reception for the wrestlers will be tomorrow morning, Monday, March 2nd, at 8:00 am in the ZMHS Auditorium. Also, Jeff Matthees would like to remind those wrestling on the 7th-8th grade NYWA team that practice will be Monday, Tuesday, Thursday this week after school till about 5:00. Thank you. The Cougars are your 2015 Class A State Team Runner-Up. Joey Majerus placed 4th at 120 Class A capping off a remarkable high school wrestling career.